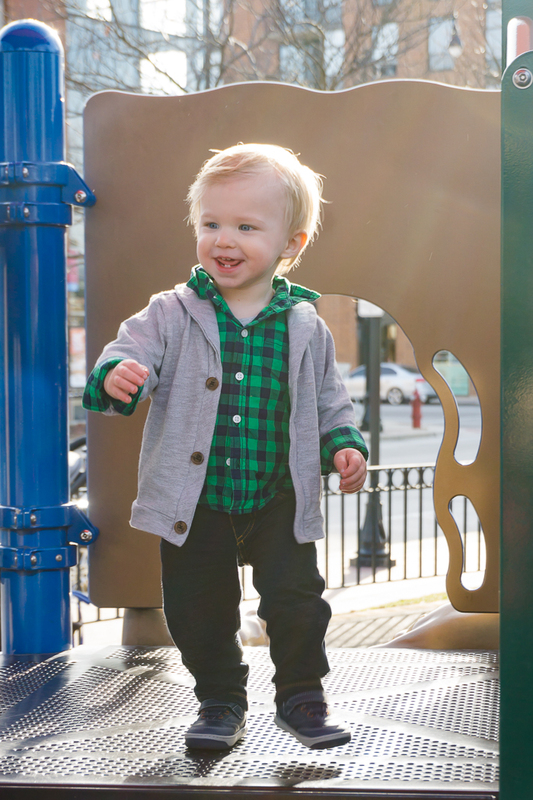 You are here: Home / LIFESTYLE / The Best Toddler Shoes for Constant Movers! I’ve found the best toddler shoes for our little Liam! They are sturdy, reliable, and comfortable while still being stylish. Plus, we have pairs that have made it through multiple kids in great shape! We love Surprize by Stride Rite for our Little Liam! There are these rare moments where Liam crawls onto my lap to read a book, give kisses or go through a round of Itsy Bitsy Spider or where I put on Moana and he’ll snuggle with me for at least 40 minutes. Otherwise, Liam is constantly on the move. He’s been walking since 11 months and definitely hasn’t slowed down, which means finding the best toddler shoes for him was important. 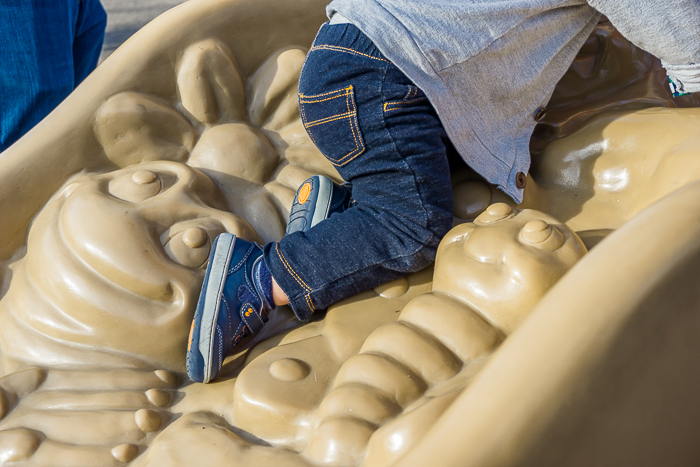 So, what makes the best toddler shoe for our little boy? Easy closures that make getting his shoes on easy and fast. 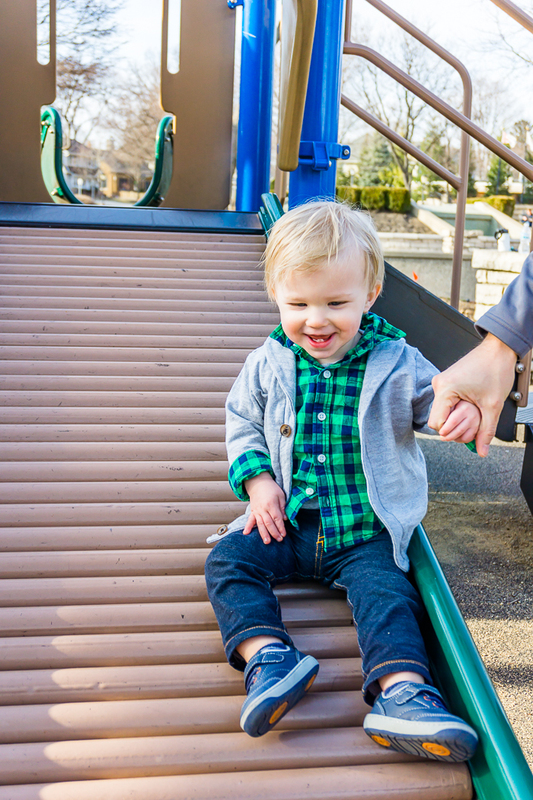 Rounded toes & traction to reduce his tumbles because this fast moving toddler needs all the help he can get. Comfortable for him to wear because I don’t want to fight over him wearing shoes while we are out and about. Support for his feet and ankles. When Liam was just starting to walk, one of Bryan’s coworker’s gave us her sons’ old shoes. These were shoes that both of her rambunctious boys had already worn and outgrown, but they were still in amazing shape. They were well constructed, easy to use and comfortable for Liam. 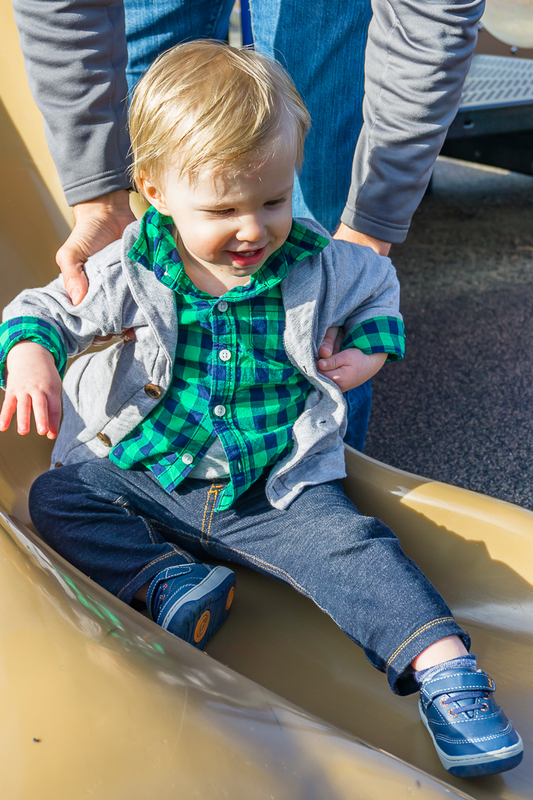 So when it came time to buy him new shoes this spring in the next size, I knew I was going to buy more of the shoes we already loved – Surprize by Stride Rite! Surprize by Stride Rite offer you stylish shoes for every stage and every season – sandals, sneakers, dress shoes and boots. Everything you need! I’ve already got my eye on an adorable pair of brown sandals for summer. 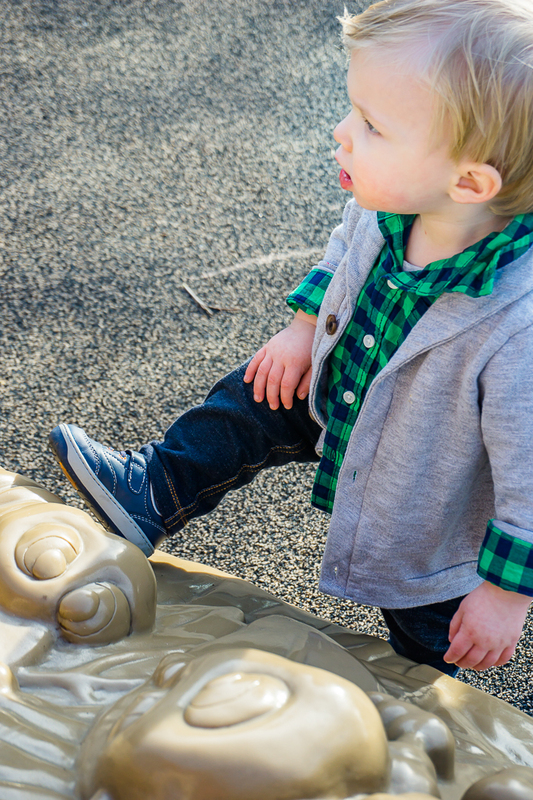 I think most moms want the same thing I do – cute shoes, durable shoes, and affordable shoes. I may not be able to meet that criteria for myself all the time, but I like that I can get exactly what I want and need for Liam and at Target no less. ​​​​And let’s be honest, the Target element is a big selling point for me, too. I can buy Surprize by Stride Rite both on-line and in-stores at Target and, since I’m usually in there a couple times a week, it’s convenient. Shoe shopping with a Pink Drink while I also tackle the rest of my shopping and grocery list is a big mom win! I mean, who has time for a special trip to a different store? The first time time we tried on these adorable navy shoes of his, he laughed hysterically, doing a little dance and kicking around the room. I’d say he was a fan of them for sure and finds them comfortable since he didn’t want to take them off. He’s asked me every day since to wear them, bringing them to me all over the house. 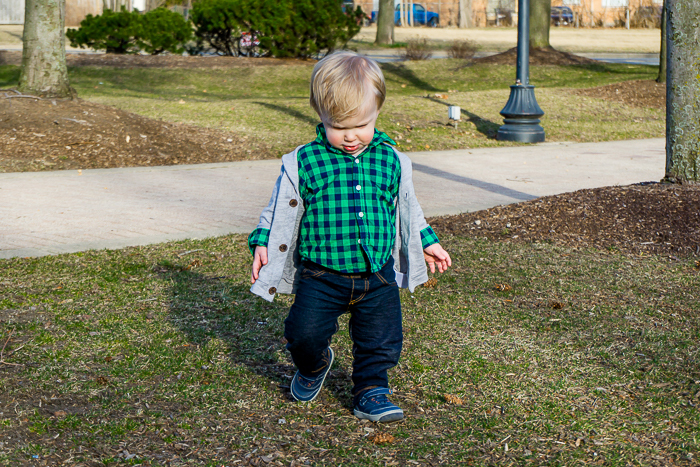 March in Chicago is always a grab bag when it comes to weather, but we’ve been lucky enough to have a few nice days here to take Liam to the park and try out his brand new sneakers! At first he was confused about what to do, because he clearly doesn’t remember the hours we spent at the park last summer. But then he was running around like crazy, refusing almost every single attempt to help. Liam is a bit of a daredevil and calling him independent is putting it mildly. We have this tiny little step in the apartment that has made him a bit cocky about other steps in the world, so we spent a lot of time at the park teaching him stairs. In fact, I think the stairs at the playground was his favorite feature. We also spent a lot of time teaching him not to play at the bottom of a slide. Park etiquette and safety is clearly on our to-do list for the summer but I love seeing how excited and happy he was getting to be outside and running around. He spent a good time just doing laps on the grass around mom and dad.